The U.S. Open says that Rafael Nadal has withdrawn from the last Grand Slam tennis tournament of the year because of injury, the Huffington Post is reporting. “Citing left knee tendinitis, the third-ranked Nadal hasn’t played a match since June 28, when he was upset in the second round of Wimbledon by 100th-ranked Lukas Rosol. 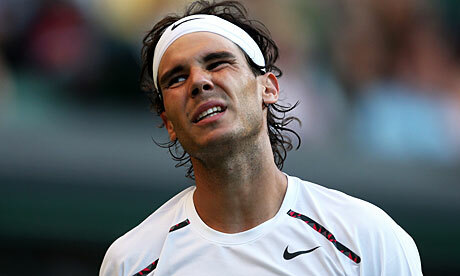 “Nadal also pulled out of the London Olympics and a hard-court tuneup tournament in Cincinnati.